One thing that we all agree is that the modern dollar bill counting machines have advanced a lot in recent times. There are so many features that have been added to improve the performance of these machines. 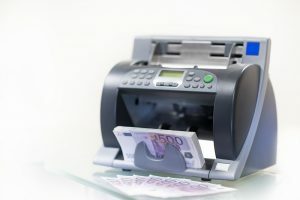 Unlike the traditional machines that would only count the amount of bill in a given lot, the modern one is offering more. They can count mixed bill, sort different denominations amongst other services. For the cashier or the person counting the money, the issue of visibility is an important one. Considering that the machine is always set a distance away from the cashier, you need to have the kind of screen that they don’t strain while reading the figures. Therefore, the issue of visibility must be addressed by having the right size and quality of the screen. Fortunately, most of the reputable factories are changing their design to accommodate these features. According to various research works that have been done on screen in relation to human sight health, the screen can cause harm to user’s eyesight. That is why it recommended that the kind of display screens that comes with these machines should be user-friendly. They should not damage the user’s eyesight. However, for better display screens, their quality must be observed. Therefore, you need to check is the screen is good for eyes or not or the recommendation that has been provided. The accuracy if the counting process or the data that has been collected by the user will greatly depend on the quality of the display screen. It is about what you see on display, and if you collect the wrong data, then there will be certain levels of inaccuracy. So buyers must ensure that the dollar bill counting machine they have the right quality display screen to higher accuracy.